Lying on the grass and taking in the warm sunshine is an enjoyment for most of us. However, having a green space isn’t that easy when you live in city, even when you have a backyard. Because it might be made of concrete. 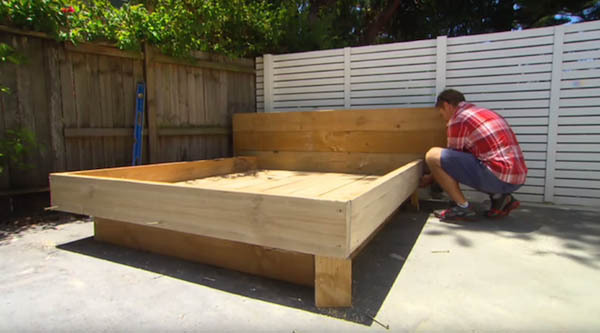 With this obstacle in mind, Jason Hodges, a landscape gardener on the Australian TV show “Better Homes & Gardens”, has come up with a clever solution – creating a grass day bed. 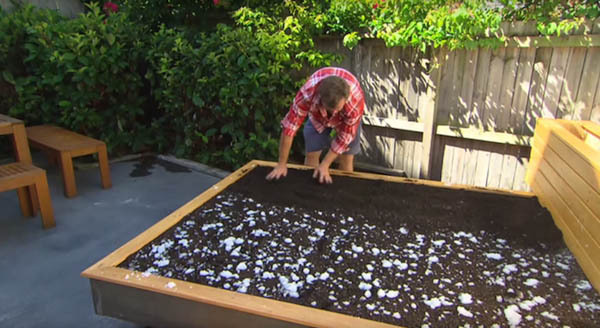 In the TV show, Hodges demonstrates how to build the grass bed from scratch. 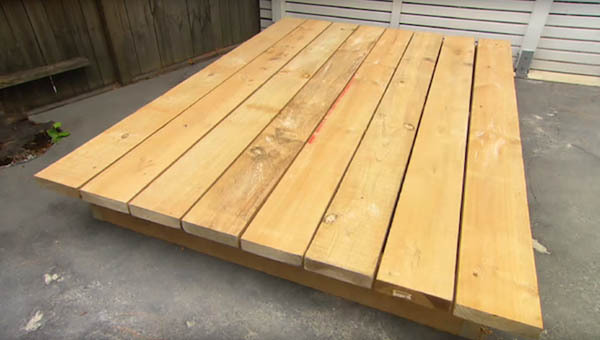 Hodges begins by constructing the frame, which involves assembling a wood pallet and slatted headboard. Afterwards, he covers the base with geofabric and fills it with dirt and fertilizer. 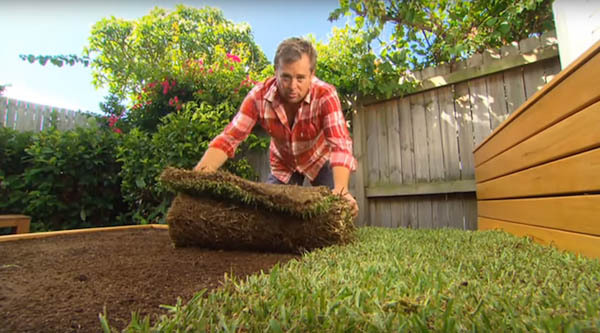 Sod is then rolled onto the freshly-laid ground. 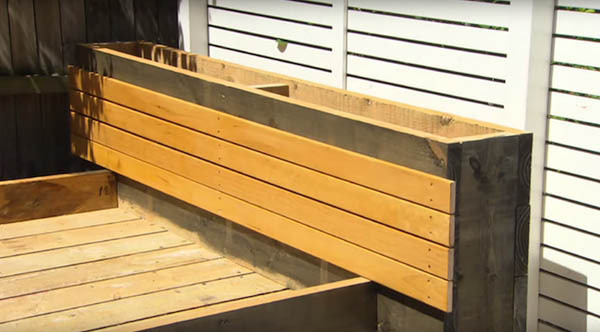 Once the “mattress” is complete, Hodges then adds accessories to the outdoor piece of furniture—the headboard conveniently doubles as a planter, allowing him to place decorative greenery into the vertical panel. 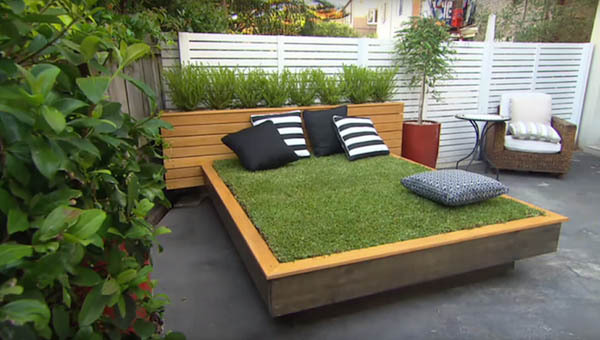 All that’s left is to trim the grass, add the cushions, and the most important of all—lay down and enjoy! 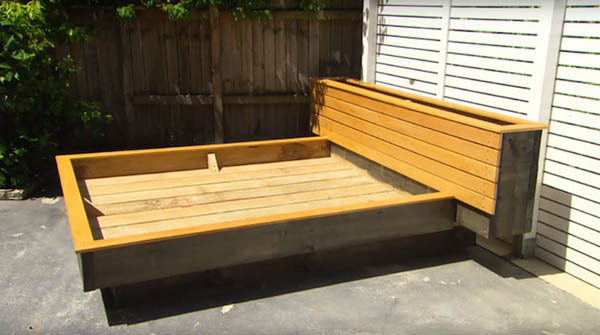 Look the idea and want to do some DIY work at your backyard? Check the video tutorial at the bottom.